The Sydney Opera House constitutes a masterpiece of 20th-century architecture. Its significance is based on its unparalleled design and construction; its exceptional engineering achievements and technological innovation and its position as a world-famous icon of architecture. It is a daring and visionary experiment that has had an enduring influence on the emergent architecture of the late 20th century. Utzon’s original design concept and his unique approach to building gave impetus to a collective creativity of architects, engineers. and builders. Ove Arup’s engineering achievements helped make Utzon’s vision a reality. The design represents an extraordinary interpretation and response to the setting in Sydney Harbour. The Sydney Opera House is also of outstanding universal value for its achievements in structural engineering and building technology. The building is a great artistic monument and an icon, accessible to society at large. OK, I get it. I understand that the Sydney Opera House is the symbol of Sydney, if not of all Australia. However, I’m not sure that any 30-year-old building should really be declared a monument of human culture which should be preserved. It really isn’t even that impressive close-up. You can hear my thoughts on the Opera House on this episode of the podcast. 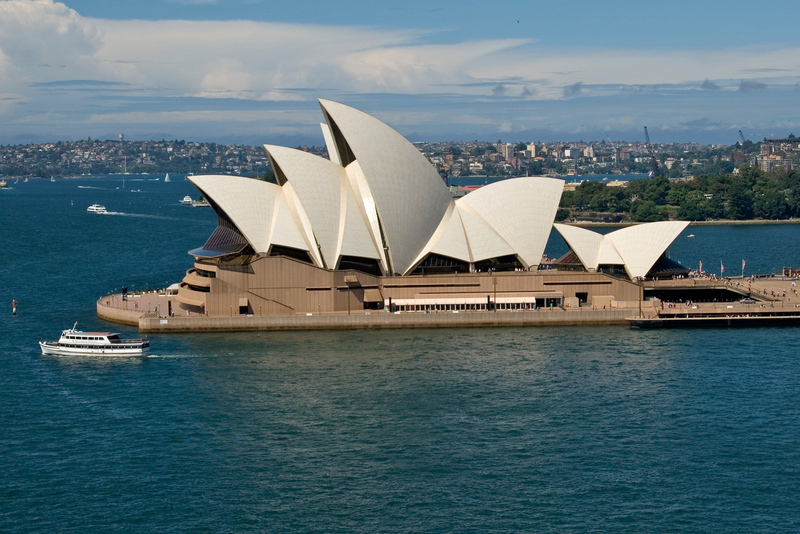 The Sydney Opera House is easily one of Australia’s most iconic landmarks. It is located along the Sydney Harbour and represents the country’s most creative and technical achievement. The Sydney Opera House started construction in 1958 and was completed in 1973. It was also formally opened to the public on the same year of its completion. The building is a performing arts center and features an Expressionist style of architecture. The building of this performing arts theater was commissioned for by the New South Wales Government. Currently, there are several tenants to the building such as the Opera Australia, the Sydney Symphony Orchestra, and The Australian Ballet, to name a few. The Sydney Opera House exhibits a modern expressionist style. The large pre-cast concrete ‘shells’ are the most distinctive feature of the building. Each shell is made up of a sphere measuring at over 75 meters in radius. These shells form the structure of the building’s roof and are each set on a monumental podium. The entire building sits on over 1.8 hectares of land area. From a distance, these ‘shells’ appear as white in color. In actuality, they feature a uniform chevron pattern consisting of a glossy white and matte cream finish. Since the start of construction in 1957, it took 16 years to construct the Sydney Opera House. This is partly due to the complex engineering involved in the building process. The vision of Danish architect Jorn Utzon together with the help of Danish engineering firm Ove Arup and partners, they were able to overcome the complex engineering problems that constantly faced them in the process of the creation of this building. In fact, the construction of the Sydney Opera House was met with controversy due to the escalating costs of its construction. The construction of the roof alone posed a lot of engineering challenges; in fact, it took the team four years to solve this problem. However, the controversy surrounding the fact that the building was becoming far too expensive was subsided when it was completed and the locals were able to experience its beauty and achievement. Utzon’s design was selected in an international design competition. The location of the building is right along the end of Bennelong Point and in juxtaposition with the harbor. 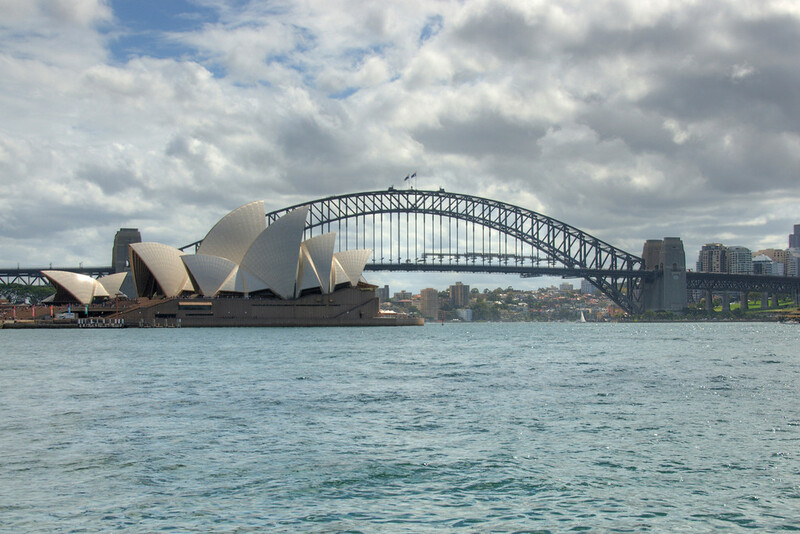 It was also built close to the Harbour Bridge – hence these two structures are regarded nearly as one iconic landmark. 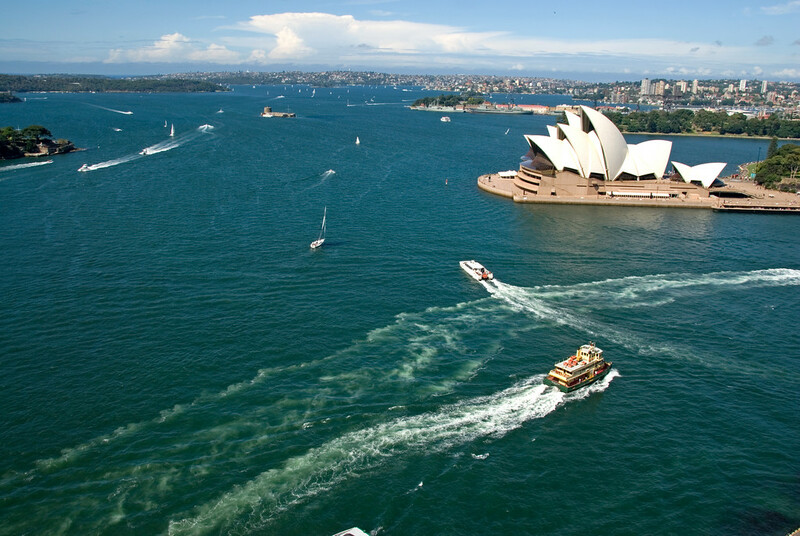 There are also other nearby attractions to the Sydney Opera House such as Circular Quay and Macquarie Street. There are several viewing points to witness and marvel at the Sydney Opera House – from the bridge, ferry, on foot or from the air. When the Sydney Opera House was completed, it was acclaimed worldwide as an outstanding architectural feat for the 20th century. In fact, it has been commonly referred to as a sculptural building. You can see and experience it from all sides! Hence, it is more than just an architectural prowess but has become an integral part of the Sydney Harbour experience and reflects the character of the city. 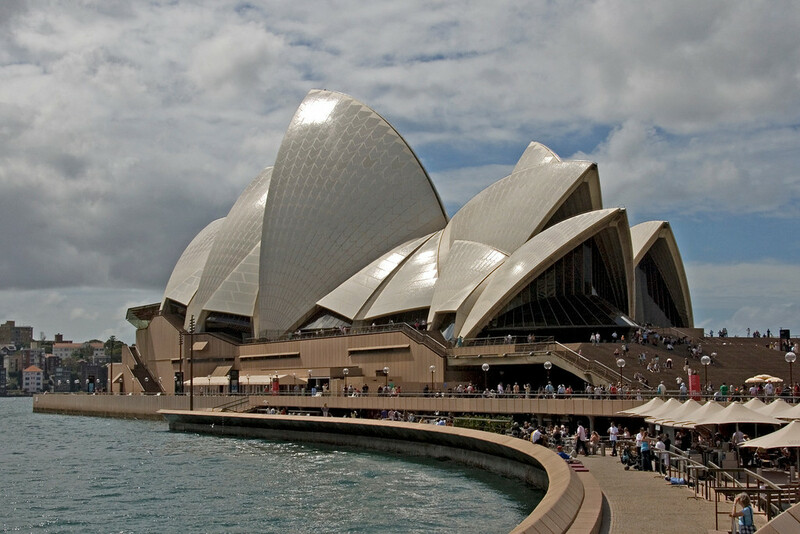 Today, the Sydney Opera House is a center for natural and cultural activities. Since it was constructed and completed, it gained national and international interest as a performing arts venue. The building consists of a concert hall, drama theater, opera house, a playhouse, and studio. It is the perfect venue to showcase some of the world’s best performers. When Utzon worked on the design for this building, he envisioned it to be a place to foster the creative history of Australia. In his own words, it will serve as an “individual face for Australia in the world of art”. And with that promise, he was able to accomplish it!